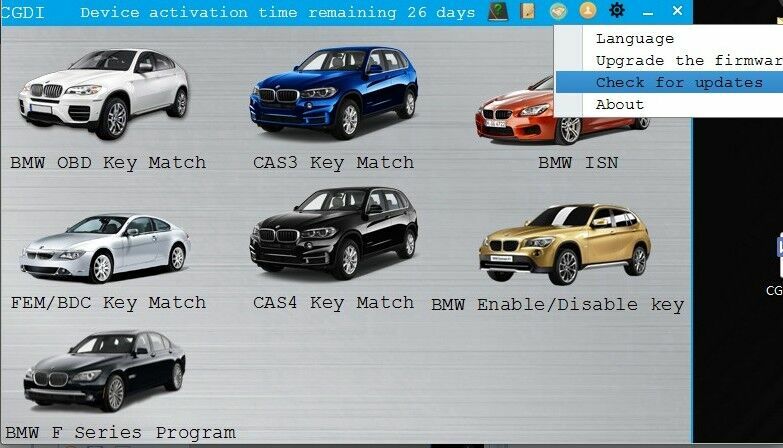 this item makes keys cas 2 bmw via obd? does it come with all functions? i got the parcel, while there is no softwre cd, could you send me download link? It doesn't work. I did the process as it showed, all the steps and everything seems ok but at the end it syas again "35E1 device not activated"
My CGDI doesn't work. I need activation code. How can I get it? how much for bmw fem function? is the copy of vvdi2? does the cgdi bmw prog can read bmw isn? I am in Germany, could you ship it from uk no tax? i buy cgdi bmw from yourself. but it is invalid right now, could you help? does it come with bmw fem function for free? Hello Susan, What happend if the 10€/month aren't paid? Won't it get the updates or it will stops working? I meant, can I used without pay 10€/mont por it is mandatory?